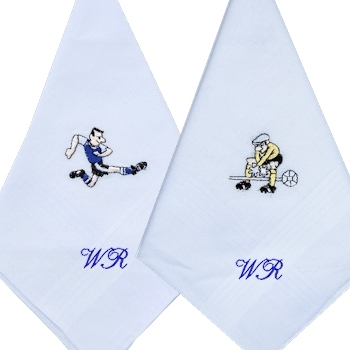 A pair of personalised white cotton handkerchiefs featuring funny cartoon football striker and a goal keeper motifs. You get two classic cotton mens handkerchiefs in this set. A fantastic and unique gift dedicated to football lovers everywhere.